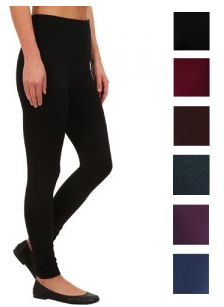 Women's Fleece Lined Leggings Just $5 PLUS FREE Shipping! You are here: Home / Great Deals / Women’s Fleece Lined Leggings Just $5 PLUS FREE Shipping! Women’s Fleece Lined Leggings Just $5 PLUS FREE Shipping! You can get these Steve Madden Women’s Fleece Lined Footless Leggings right now for just $5 PLUS FREE shipping! I have a pair of fleece lined leggings and love them, they are so warm and soft! But, hurry these won’t last long!